Additional Directions: Located behind Stowe Elementary School at the foot of Jackson Arena hill. Our building is white, located right next to the basketball court. Programs and events hosted by Stowe Parks & Recreation. Stowe Arena offers ice and turf. Ice season is June through March. Long known as the "Ski Capital of the East," this summer Stowe will be the epicenter of the arts when the Stowe Arts and Culture Council presents for the first time ever, Arts Week 2018, to celebrate Stowe's long history and involvement in the arts. Running from July 21 through July 29, Arts Week will feature events from a wide variety of local arts and cultural organizations. A Kids' Bike Safety event will be held on Saturday, May 20, from 11 a.m. to 1 p.m. at the David Gale Recreation Center in Stowe, behind Stowe Elementary School. Young hockey players aren't taking to the ice like they did a year ago, and the result is a dent in the Stowe Arena's balance sheet. Join in the fun! 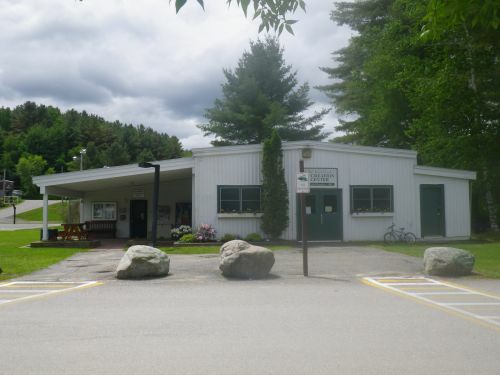 Stowe Parks & Recreation provides great family experiences around Central Vermont! Join us for summer camp, after school program or any of our numerous community events like the July 4th Celebration, Annual Halloween Party, K9 Social, Babysitter Search, Skate with Santa, Kids Kaos and more! Also check out educational opportunities like the Red Cross Babysitter Course and Hunter Safety Program. 2549 times over the past 30 days.